The first edition of this festival was held October 29-30, 2004, as a prelude to Halloween. Unfortunately, the festival was not embraced by church leaders and condemned those who implemented the festival as promoting witchcraft and idolizing the devil. Catholic leaders even read Pastoral Letters condemning the event. Organizers were quick to retaliate and point out that the real intent of the festival was to promote Roxas City as tourism destination by capitalizing on local folklore. 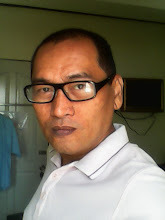 Thus, they were actually transforming the negative image of Roxas City brought by “aswang” stories into positive ones. The same sentiments were shown by the Catholic hierarchy each time the event was celebrated until the festival was stopped in 2007 by Mayor Bermejo, the city mayor at that time. · Trade exhibits where local and small business men showed and peddled their wares for tourists to buy and appreciate. · Aswang Symposium is the educational aspect of the festival where “aswang” concepts are dissected from different perspectives; cultural, historical, and paranormal. The symposium was geared towards removing the negative stigma of “aswang.” This is similar to what Romania did with regard to “Dracula” stigma by making vampire stories as the center of several festivities in Romania. Indeed, the festival was a unique way to invite local and foreign tourist and discover Roxas City as it has lots to offer when it comes to food, fine sandy beaches, and of course historical and cultural significance; one of the largest bell towers in Asia is just less than an hour drive from Roxas City. The question is, should this one be revived or not? Do raise your voice!